No Need to worry about data breach. Complex Application can run very smoothly. No Need to worry about big recurring cost. No Need to worry about internet connectivity. We have expert team to build and maintain desktop softwares. the softwares are build using python as backend language and to build beautiful user interface we use Qt Designer. We follow industry standard agile process to develop desktop softwares. The advantage of agile is, customer can add any feature at any point of time. Our desktop softwares are runs from big industry to small retail shop. We build customized desktop softwares as well. 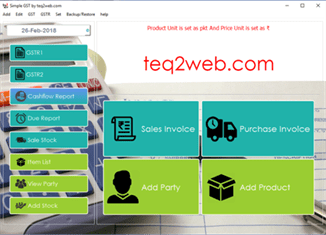 In customized desktop software the application is build according to customer need. Two of our most popular desktop softwares are as below. A software to calculate GST related data.Generate Invoice, GST Return using Simple GST. View products and their sales stock report monthly or daily basis. Generate various reports. View customer ledger book. View profit loss statement. 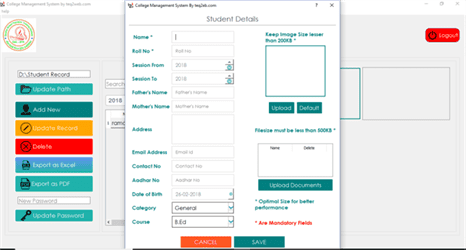 Manage Student data at ease. Keep track all the accounting related data. Manage Library and bookbank. View daywise book borrow or return. View book stock. Monitor every account from smart Admin panel.